German banking giant Deutsche Bank (FRA:DBK)(NYSE:DB) is fully walking away from coal, as it has decided not to finance any greenfield thermal coal mining or coal-fired plants any longer. Announcing the changes to its coal financing guidelines Tuesday, the lender also said it will gradually reduce its existing exposure to the thermal coal mining sector. While it didn't specified a timeline, it is said that Deutsche Bank may just reduce its coal financing by up to 20% over the next three years. The bank will also begin gradually reducing its existing exposure to the thermal coal mining sector. “[Signing the Paris Pledge for Action] emphasizes the bank’s commitment to protect the climate and to contribute to the overall targets set by the Paris Agreement to limit global warming to 2 degrees above pre-industrial levels,” it said in the statement. This is not the first step away from coal the bank has taken. In March last year, Deutsche Bank said it would phase out credit and the underwriting of debt and equity for mining companies that use contentious mountaintop removal methods to extract coal. 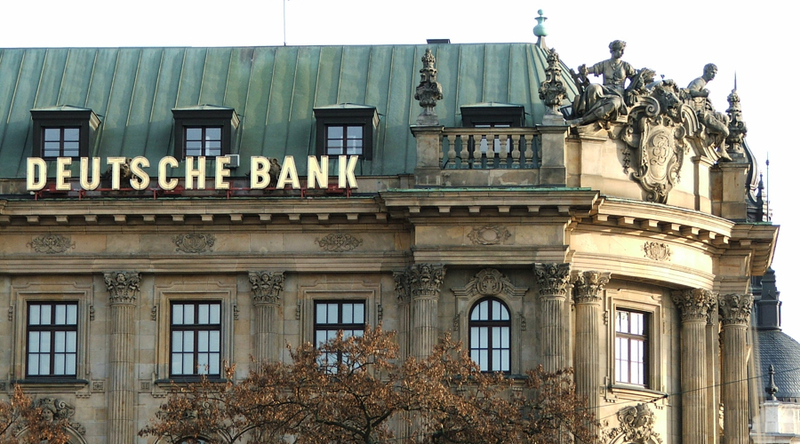 "We welcome the decision of Deutsche Bank to stop investing in climate-harming new coal infrastructure,” Oliver Krischer, deputy head of the German Green Parliamentarian Group, said in an e-mailed statement. “We hope that Deutsche Bank will stop all investments in the near future: 20% is only a beginning." The institution used to be coal miners’ top financer, delivering nearly $7 billion from 2013 to 2015 alone, FT.com reported.